Dogs over the age of 10 are more vulnerable to cancer. Ironically, the same is considered to be one of the leading causes of deaths in canines. However, cancer is not the end of hope in all the cases. The concern is curable and early detection is the key. 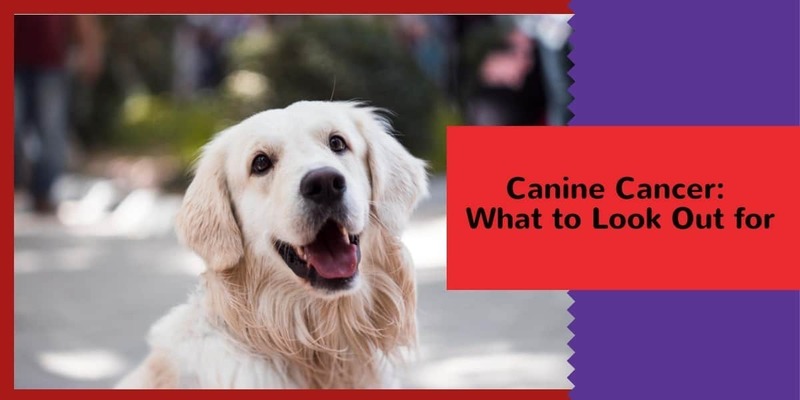 As a pet parent, there are several aspects of canine cancer to be mindful about. Cancer is the abnormal growth or replication of cells, which leads to tumour formation. Cancer usually forms lumps in different parts of the body, which tends to spread. Epithelial: Known by the name ‘carcinomas’, this is cancer caused by the replication of cells from the skin and glands. Mesenchymal: this cancer type if known as ‘sarcomas’ and the cells responsible are fat, bone and any cells that contribute to fibrous and scar tissue. Round cell: can be known by multiple names including lymphoma and mast cell tumor. The cells responsible are the ones that account for immunity like macrophages and mass cells. There are multiple causes of cancer in dogs. External causes: surprisingly there are lots of external or environmental factors that can trigger cancer in canines. Some of them are exposed to ultraviolet rays, cigarette smoke. Additionally, obesity, specific diet patterns and exposure to other cancer-causing agents like asbestos, chemical products like cleaning solutions and other lawn products can cause cancer. Hereditary causes: the hereditary causes of cancer are mainly related to the genes mutations and transfer. This is something that makes some breed vulnerable to cancer a tad more when compared to the other. Cancer lumps can be malignant (cancerous) and benign (non-cancerous). There are different means to identify one from the other. Tends to grow quickly. the lumps appear to be growing in all directions and with edges seeming to be growing into the underlying tissue. Cancer can be painful for your dog depending upon the type and severity of the concern. This is where you have to keep a close eye on the behavioral changes and factors like appetite and weight loss. Take your dog to a veterinarian if you find any lump formation in addition to the symptoms listed below. This is why it is advised that you spend some time with your dog and keep his health under check. This is crucial as malignant cancer can grow and spread quickly, with minor or even no symptoms.